But you don't have to do that. This "Temperature Compensating Tire Pressure Gauge" will do it for you. 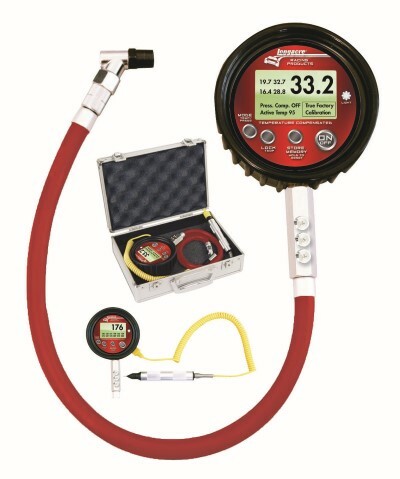 It can take the temperature of the tire using a traditional tire temp probe, instantly calculate the correction back to a standard temperature, and show the pressure you should be putting in the tire. It may not be the actual pressure at that moment. But it will be the correct pressure when it counts, on the track.